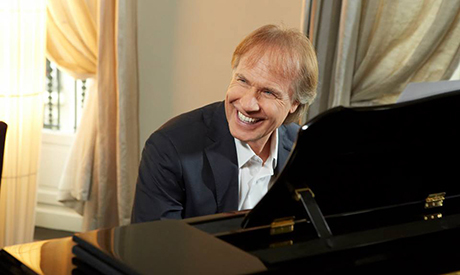 Prominent French pianist Richard Clayderman has expressed his excitement ahead of his anticipated Valentine's Day concert in New Cairo's Al-Manarah Hall on 15 February. "I will be delighted to perform in Egypt during the Valentine's period. It will be great for me to spread love to the world from Egypt. For sure that night will be outstanding," the 65-year-old told Ahram on Monday in a video statement. "I will be performing my masterpieces from the land of civilisation. See you in February," he added. Born Philippe Pagès, Clayderman's career has spanned over 40 years. After studying at the Conservatoire de Paris, when record producers Olivier Toussaint and Paul de Senneville selected him to record a gentle piano ballad for de Senneville’s baby daughter. Ballade Pour Adeline (Ballad for Adeline) went on to sell 22 million copies in 38 countries, earning Clayderman international acclaim. He has since recorded over 1,300 melodies, and has established a signature style which combines his trademark originals with classics and pop standards. His record sales are over 150 million, with 267 gold and 70 platinum albums.